In Kleppe v. New Mexico, wild horses and donkeys in New Mexico were protected from being, “cruelly captured and slain and their carcasses used in the production of pet food and fertilizer. They have been used for target practice and harassed for ‘sport’ and profit.” Here in New York, feral hogs are afforded no such protection. Hogs are seen as pests throughout the southern U.S. and now have made their way into New York. The Department of Environmental Conservation’s Bureau of Wildlife claims there to be hundreds of feral hogs throughout three counties in central New York. http://www.msnbc.msn.com/id/44392286/ns/us_news-environment/t/ny-seeks-stop-wild-hogs-may-ban-captive-hunts/. Hunters with a small game license are being encouraged to aid in the elimination of the wild population of feral hogs. 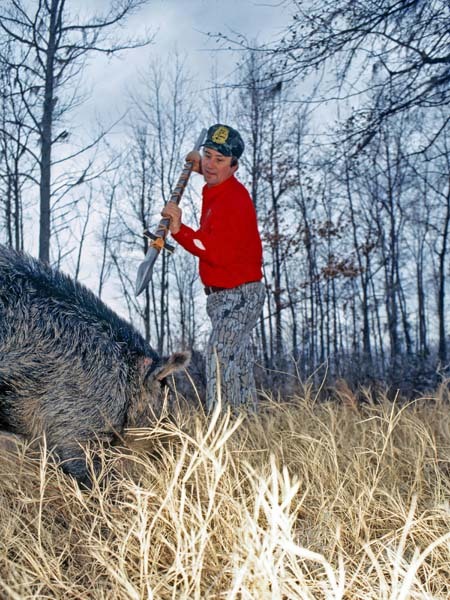 There is no restrictive season, nor any requirement of hog specific hunting tags limiting the number that can be taken. There are definite legitimate purposes for the position The Department of Environmental Conservation has taken. Hogs are damaging to both agricultural land and natural ecosystems. According to the Global Invasive Species Database , “Feral pigs like other introduced mammals are major drivers of extinction and ecosystem change. They have been introduced into many parts of the world, and will damage crops and home gardens as well as potentially spreading disease. They uproot large areas of land, eliminating native vegetation and spreading weeds.” http://www.issg.org/database/species/ecology.asp?si=73&fr=1&sts=sss. It must be noted, however, that the wild horses and burros of New Mexico are also “introduced mammals,” and that the ranchers claiming injury would probably not classify them as harmless. There is also the matter of the status of the specific animals, with Congress judging the horses and burros to be, “living symbols of the historic and pioneer spirit of the West,” while the director of wildlife programs for the Michigan Wildlife Conservancy says of hogs, “These are Russian wild boars. Those animals are Houdini-like escape artists and they breed readily in the wild.” To me there is little doubt that the policy will result in similar treatment of hogs to what was described by the Senate in passing the Wild Free-roaming Horses and Burros Act. Is this difference in status enough to justify the encouragement of the cruel conduct that the Wild Free-roaming Horses and Burros Act sought to prevent? My answer is probably not. However, the difference in the intensity of the impact upon the native ecosystems is a more persuasive argument. Hogs seem to be particularly damaging to native ecosystems in addition to their destruction of agricultural land, and horses and burros, while bothersome to ranchers when drinking from watering holes where their cattle drink, do not seem to have the same detrimental impact upon the ecosystems they inhabit. Species-specific policies like this are interesting, because on the face of the matter there are two non-native mammals that have caused problems in their states that are being dealt with in drastically disparate ways. However, like all matters, it is more complex than this simple dichotomy.